You have written a large brilliant report and you need a cover page to finish it off. Word helpfully comes with an option to add a cover page. There is a selection of cover pages built in which you can reach via the Insert Ribbon. Can I create my own cover page? Yes, you can. 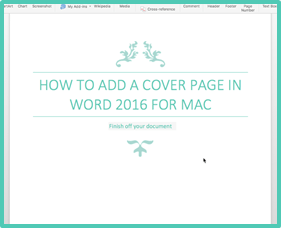 However, in Word 2016 on Mac you cannot add Cover Pages to the gallery as you can in Windows. 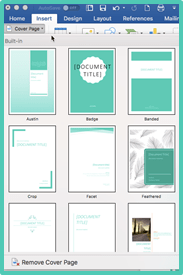 If you want to have a specific cover page to use, then you need to create a template with the cover page as the first page of the document. 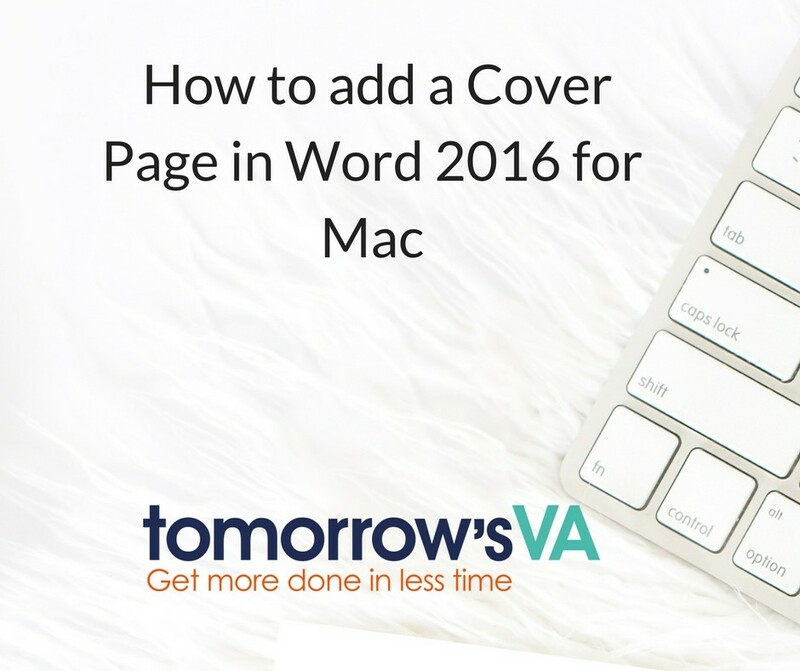 Then you can start from that template whenever you want to use the cover page. Will you be adding cover pages to your reports? Do you find yourself writing the same text again and again? Maybe it’s a signature or sign off or you may have standard paragraphs of text that you need to use from time to time. When working with several different clients, you will be looking for ways to speed things up. One of my favourite tools is AutoText. 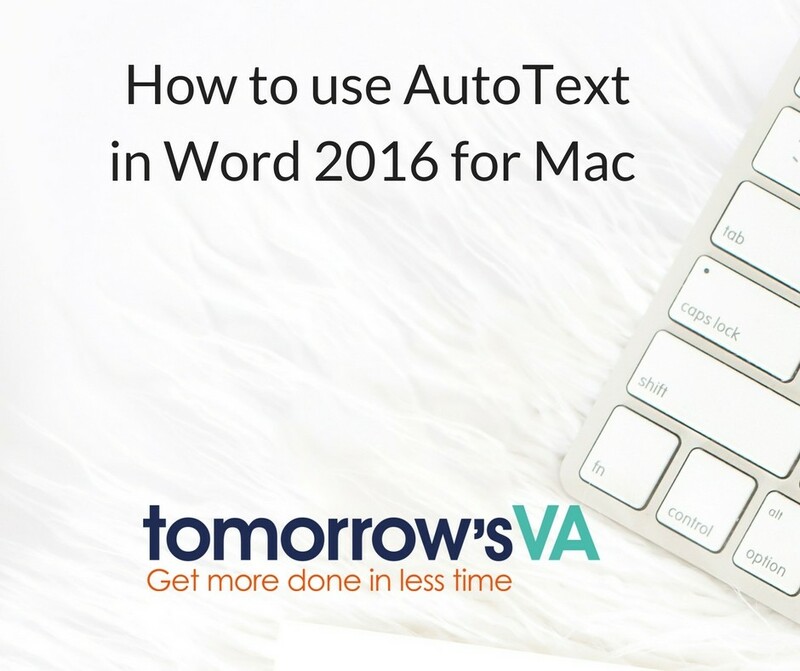 AutoText stands for Automatic Text and that is exactly what it does. 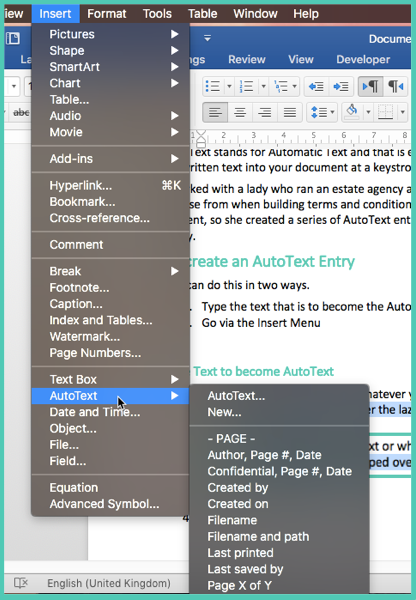 It automatically inserts prewritten and/or pre-formatted text into your document at a keystroke. I worked with a lady who ran an estate agency and she had several paragraphs of text to choose from when building terms and conditions. Not every client needed exactly the same content, so she created a series of AutoText entries which could be added quickly and easily. 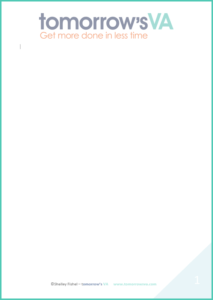 Type the paragraph of text or whatever you want to store as an AutoText entry. Type a memorable name for your AutoText entry – make sure that it is longer than three letters. That’s it your AutoText entry is now saved. 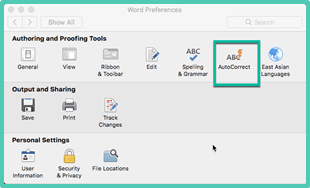 Start to type the name of the AutoText Entry and you will see an AutoComplete tip on the document with instructions to press Enter to insert. Press Enter and the text will appear! Note: This is the fastest way to insert an AutoText entry. Place the cursor where you want the AutoText to appear. 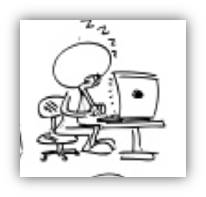 Click Insert > AutoText > and then select your entry from the list. If you need to delete an entry – follow the steps above and click Delete to remove it from the list. 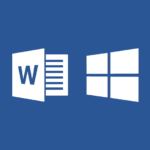 Word stores the AutoText entry in the Normal template, which makes it available in all documents. 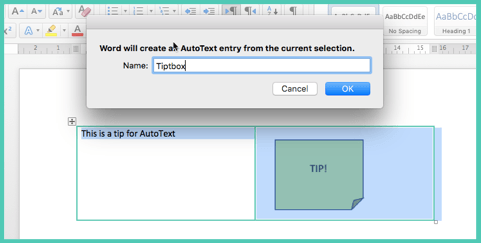 If you want to limit AutoText entries to particular documents, on the Insert menu, point to AutoText, click AutoText, and then select a different template on the Look in pop-up menu when you create the AutoText entry. Can I store formatted text or shapes as AutoText Entries? For example, if I want to re-use this table several times when writing a user guide, I can select the whole table, click on Insert > AutoText > New and name the entry. Then I can use the tool tip to add it. How will you use this tip? 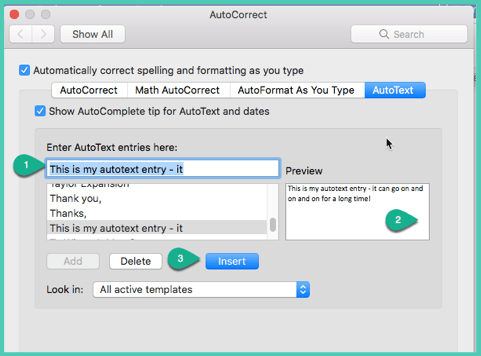 Will you create AutoText entries to speed up your working day? Autocorrect is one of those tools in Microsoft Word that you may not even be aware of. As a VA you may work for various clients and I don’t know about you but I sometimes struggle with spelling of names or certain words. For instance, I never can type the word lunch. I usually type luch and Word automatically corrects it before I have even noticed. When my children were small, I helped organise a trip to London for a charity group and I was writing up the itinerary. I noticed that on each day where I had intended to write lunch I had in fact written luch! That was when I discovered how Autocorrect could help by automatically spotting each time I made this mistake and automatically correcting it. You can set Autocorrect to correct those words that you always get wrong, like I do or to make sure you spell a name correctly. You can even set it to replace one word with a sentence or paragraph although AutoText is a better option for that and the subject of another post – look out for that one – coming soon. Once in Autocorrect you will need to type in the word to correct and the correct spelling then click Add. 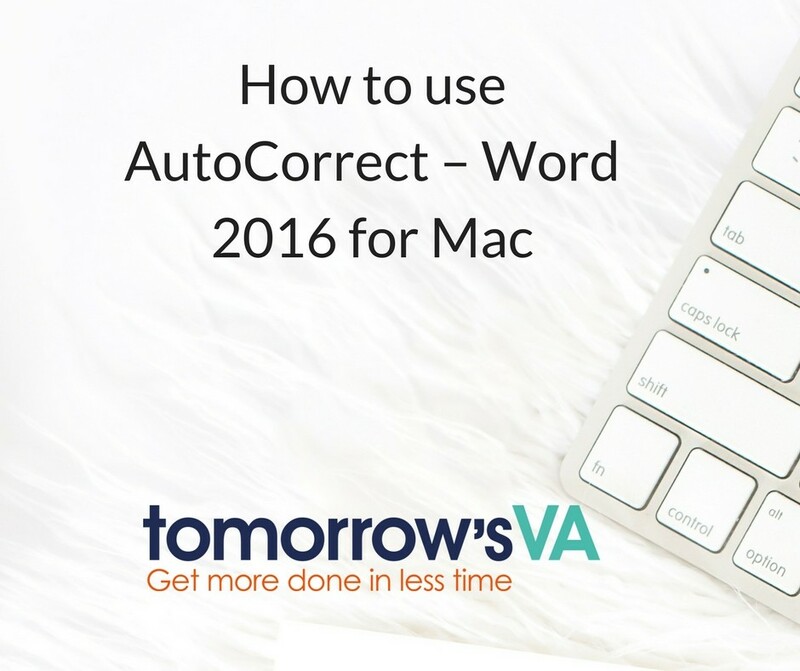 Make sure Automatically correct spelling as you type is ticked – then it will all happen in the background like magic. Note that there are some other options at the top of the dialogue box which you can leave switched on or you can uncheck to stop them if you prefer. 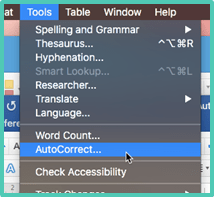 Show Autocorrect Smart Button When this is checked, Word will display a little button under any thing that has been automatically corrected. This allows you to decide if you want the correction to stand or not. Correct two INitional CApitals As is says, it will correct thos annoying instances where you left caps lock on too long. Capitalise first letter of sentences Makes sure to capitalise the first letter following a full stop. If you use a lot of acronyms you may wish to turn this off or you may end up with too many capitalised words. Capitalise names of days When you type the name of a day Monday for example, Word will make sure to capitalise it. Capitalise first letter of table cells When in a table, the first letter in each cell will be capitalised, turn it off if you don’t want/need this setting. Replace text as you type Replace text as you type replaces mis-spelled text as you type. 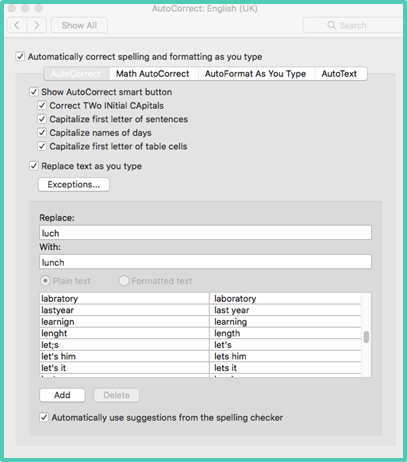 You will see that there is a list of miss-spellings already in the AutoCorrect preferences dialogue box. These are words that are commonly mis-spelled and if you did spell them incorrectly you won’t even know as Word will correct them before you even noticed! I really love this feature and love the fact that it beavers away in the background taking the pressure off me to remember to correct my habitual mis-spelling. Do you use Autocorrect? Has this article helped? 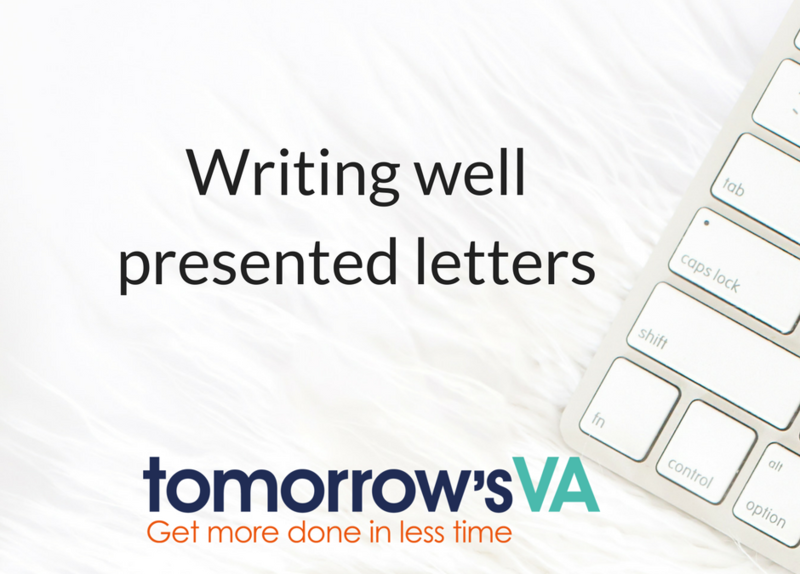 Or – how can a VA get their work done in less time? One of her clients was a City accountancy practice and she was commissioned the task of collating a large number of reports from different departments within the business. However, ‘collating’ was really not the task at all, as all the documents needed to be formatted and published in a house style that reflected the company’s professional image. From past experience, she knew this would typically take her several hours to reformat each document. It was a task that neither inspired or used her own unique talents to their full potential and would mean that other administrative tasks would be piling up for attention whilst she was busy with this one. It meant that other clients would have to wait, and this city accountancy firm would be paying too much for the job in hand. It would all take so much time. For Jennifer, this was a pain! How could Jennifer complete the task to the highest standard in less time? Jennifer brought me in to help. I introduced her to the joy of Styles! 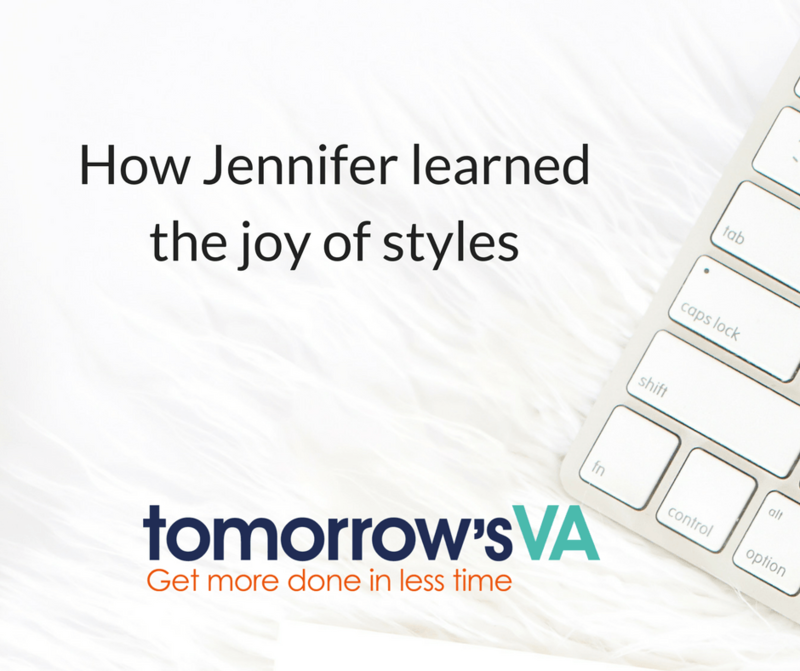 In the 1½ hours I spent training her one to one, she discovered how styles could be formatted once and used forever more, over and over again. The styles could be saved as a style set and applied whenever she wanted to any document that already had styles applied. That individual attention was bespoke and delivered with her and her task completely in mind. She was then able to complete the task in a third if the time she had allowed for it. 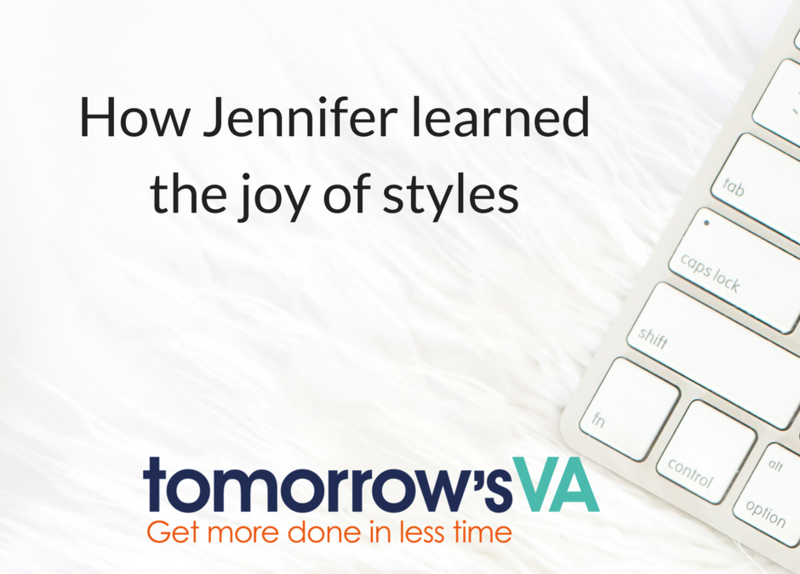 What would knowing about Styles do for your business? Save yourself and others who work with you hours of formatting time, allowing the space to focus on creation of the message not the way it looks. 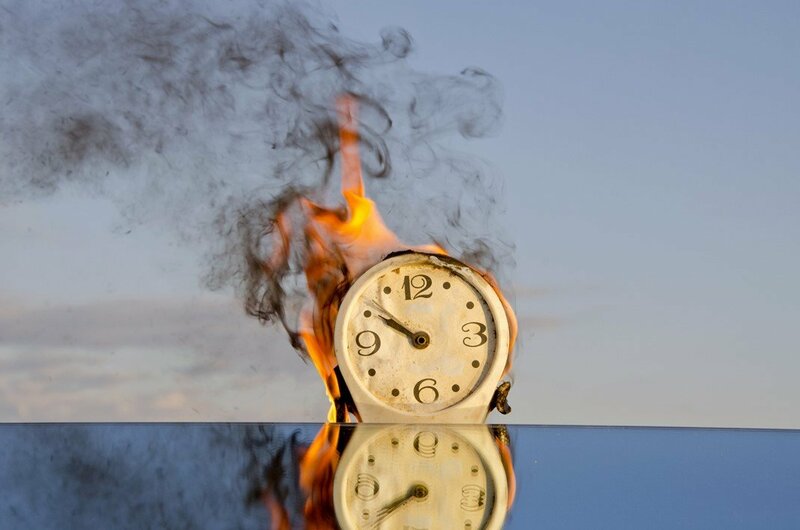 Can you afford to ignore the time wasted on formatting business documents? It is well known that Time is Money! You cold book a one to one session with me or you could take one of our online courses. The time is booked to suit you. We can often cover lots more than you think as when it is one to one we can focus on more than just the immediate issue. 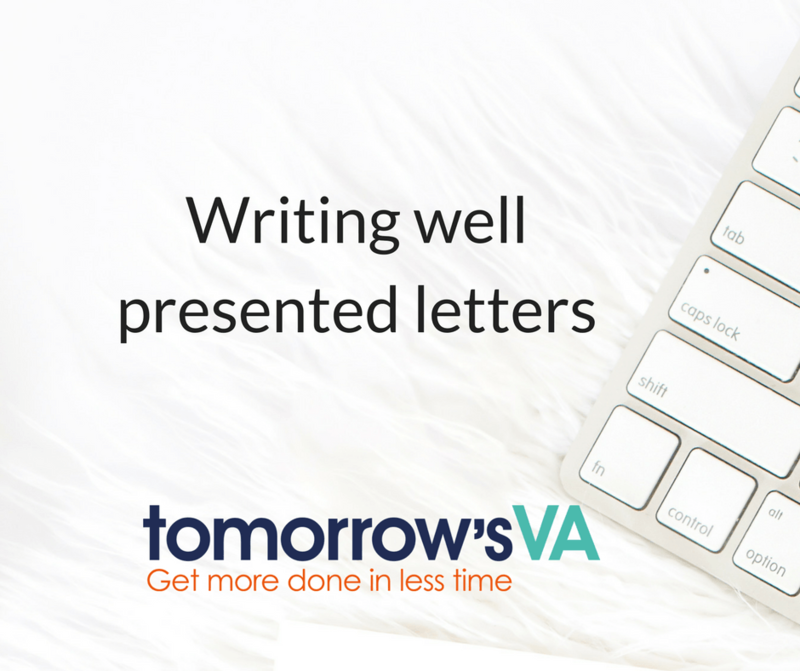 To book time with me, drop me an email shelley@tomorrwosva.com and we will have an initial chat on the phone to see exactly what you need to learn. 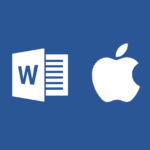 To take an online course – simply click on the image that represents Word and your Operating System – Windows or Mac and it will take you to register for the course. p.s leave a comment below if you have any questions! Any communication that you send out for your business is a representation of who you are and the kind of service you deliver. You want to make sure that your communications look professional, are readable and are spelt correctly! There is nothing worse than a letter full of spelling mistakes which is badly set out and where the font is unreadable. To begin with, do you have a letterhead? This is printed paper with your Business Name and address and usually your logo. It will be in your company colours too. Here is an image of our letterhead. I know I talk about this a lot, however it is very important if you wish to portray a professional image. A house style ensures that all your documents have the same look and feel. It will encompass which font you use, what your headings look like, how you space things on the page, what colours are allowed and what is not allowed. You can also stipulate how your logo is used throughout different kinds of documents. If you will be printing on to a letterhead like I do, then you will want to create a template for your letters which includes things such as the correct margins so that your text flows properly and any standard headers and footers that you may use. When addressing your letter, make sure that the name and address of the person you are sending the letter to is clear and if you are using Window Envelopes, make sure to measure where the first line of the address needs to be to fit into the envelope. You might also want to practice folding your letter up so that it fits into the envelope properly. The first line of the address is often best on Line 7. Lastly, once you have typed up your letter, please, please, please use the Spell Checker! There is nothing worse than receiving a letter that is full of spelling mistakes and nowadays it is simply unacceptable. If you fail to check the spelling of your communications, it shows a lack of attention to detail and leaves the wrong impression. You might have the snazziest letterhead, the best design, a beautifully worded document, but if you fail to check the spelling all that will be lost. As most of our communications are electronic these days, having a good house style often gets forgotten or falls by the wayside. Remember to make sure that your Outlook fonts are the same as your Word fonts and that you keep to a consistent overall style. Your style is the first thing people notice about you and your brand. What kind of letters or communications do you have? Do you have a house style? Do you know how to create your Styles so that you can apply them? I can help with that. 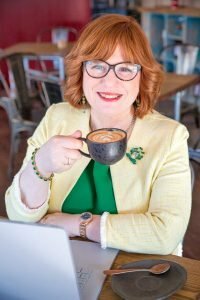 I have an online course and in less than three quarters of an hour you will be able to create your brand house Style in Word, so that you never have to worry about it again! 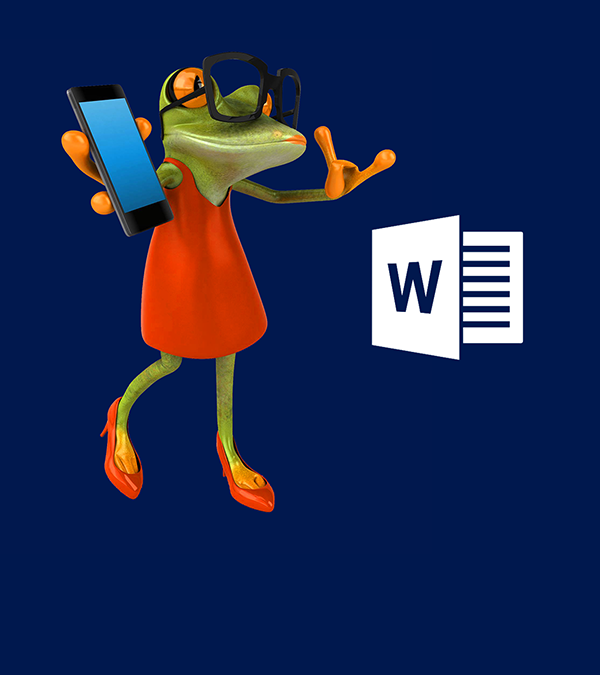 Click on the icon that matches your Operating System ( Windows or Mac) to sign up for our Work Smarter with Style Course. You will learn how to create your brand house style and how to save a set of styles so that you can use it again and again.